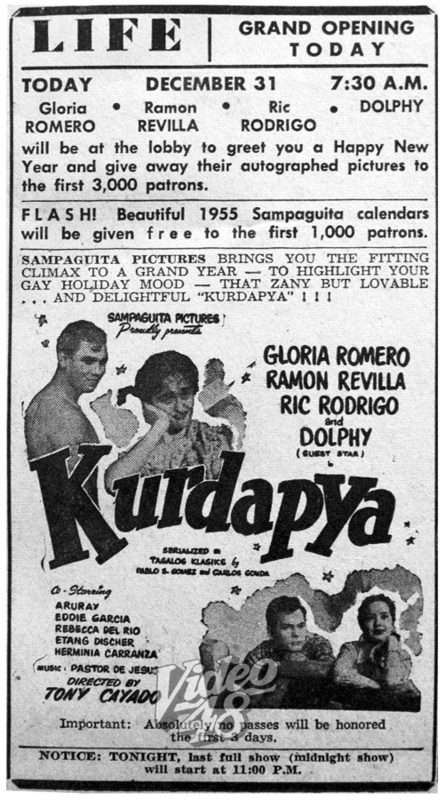 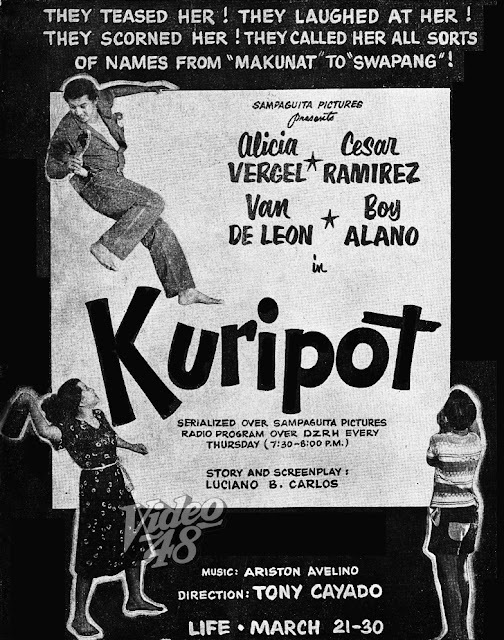 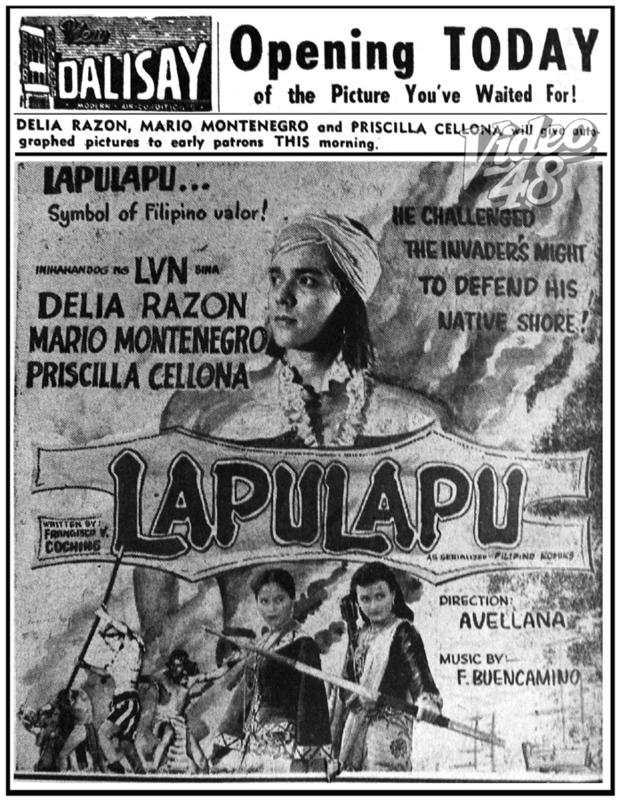 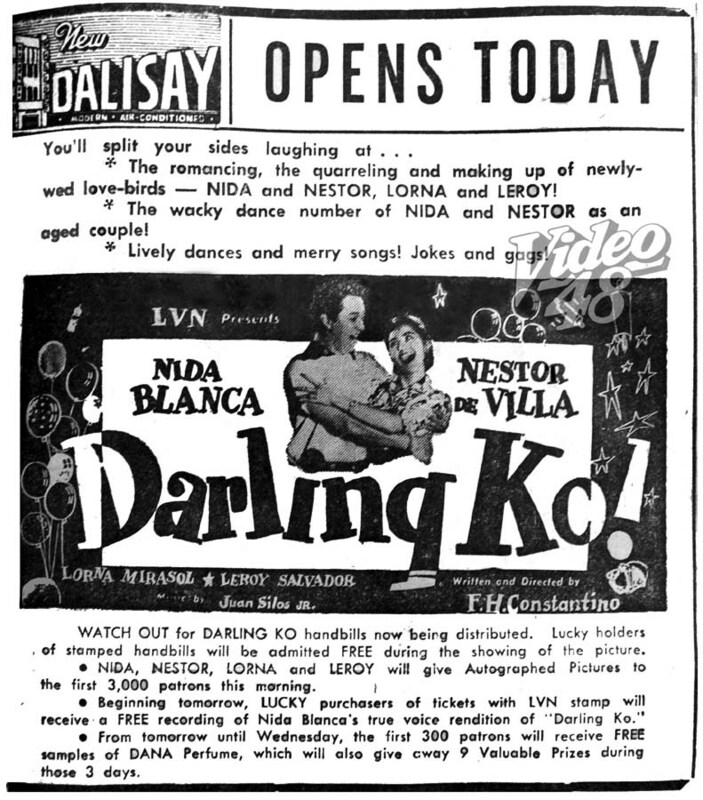 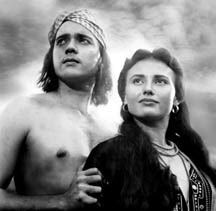 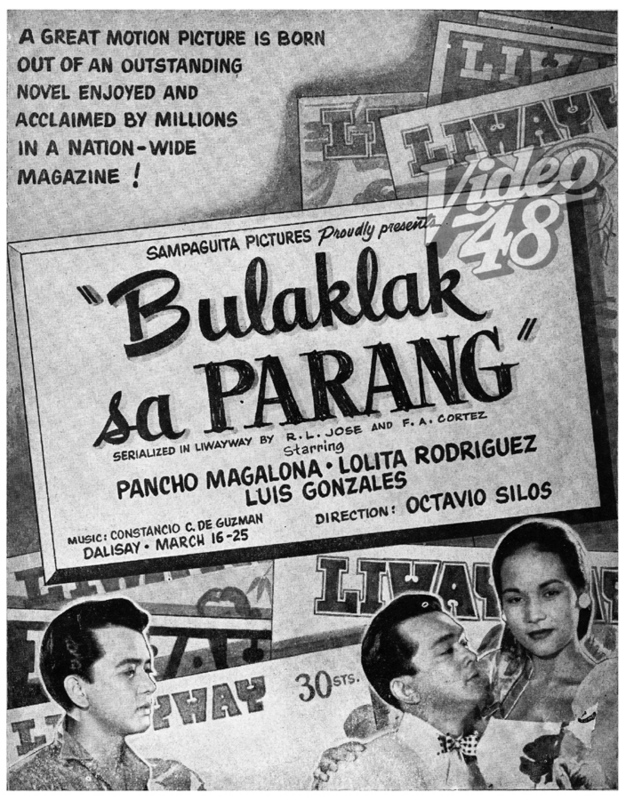 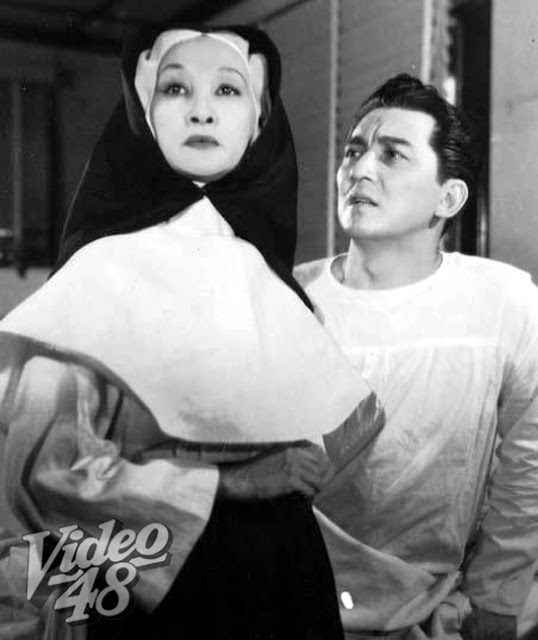 People's Pictures/ Premiere Productions, Inc.
LVN's top stars Mario Montenegro and Delia Razon were reunited for the nth time in this 1955 Lamberto Avellana's monumental epic, Lapu-Lapu. 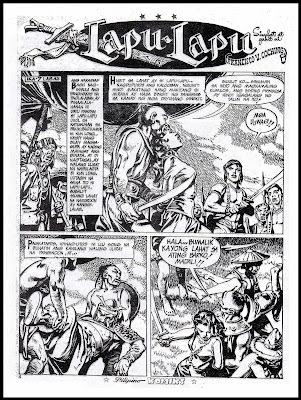 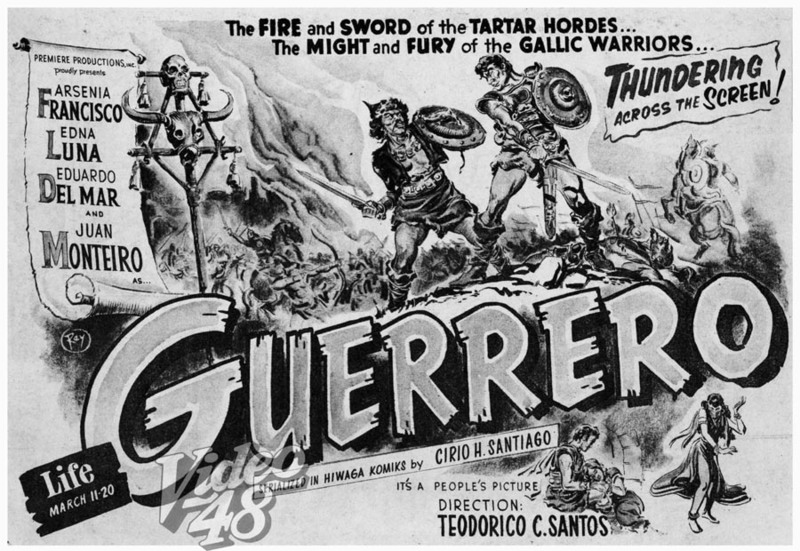 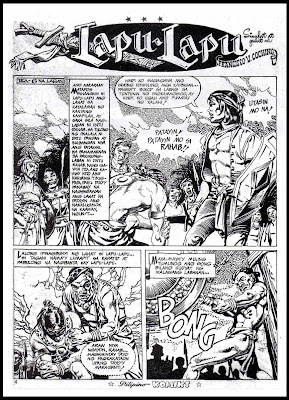 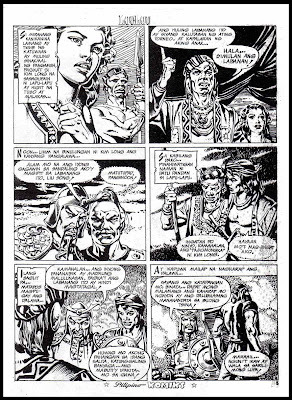 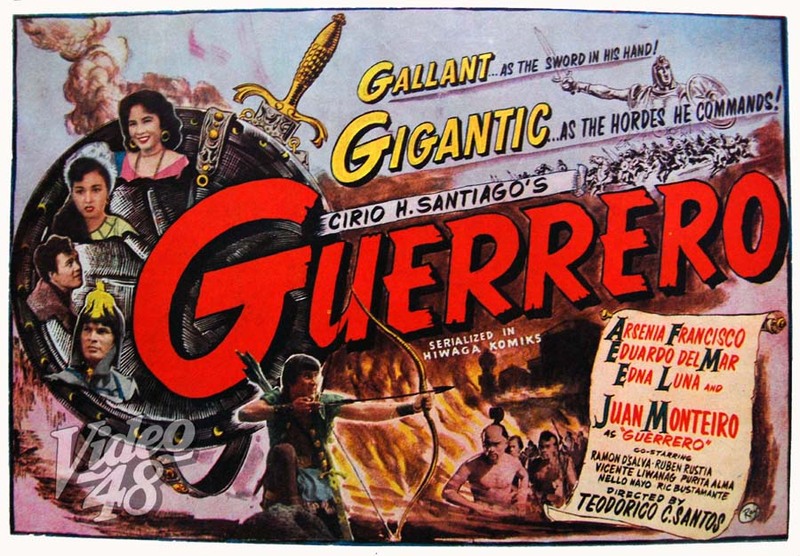 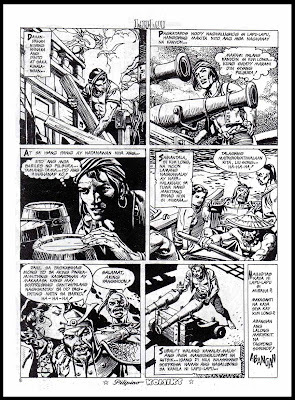 Based from the celebrated Francisco V. Coching's Pilipino Komiks serial novel, the movie tells of the courageous and fierce stand put up by Lapu-Lapu and his men against the Spanish invaders led by Ferdinand Magellan in what was dubbed as the 'Battle of Mactan'. 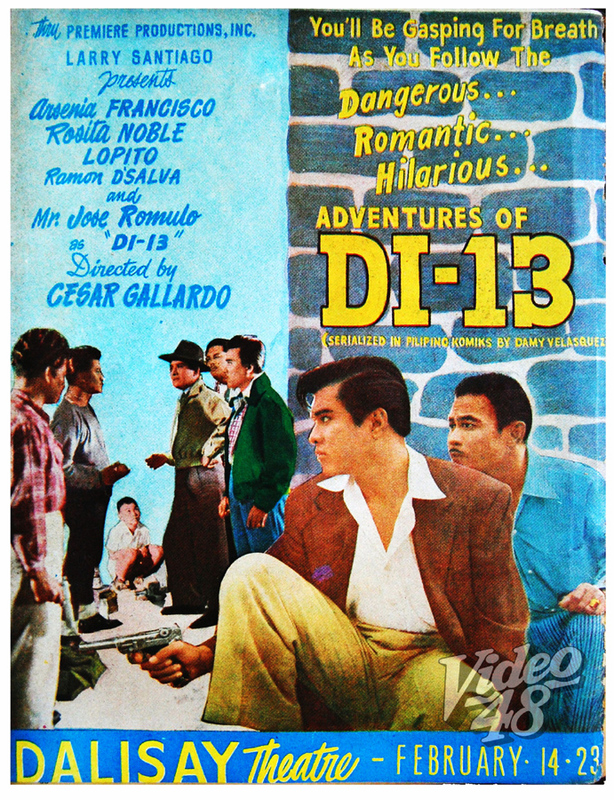 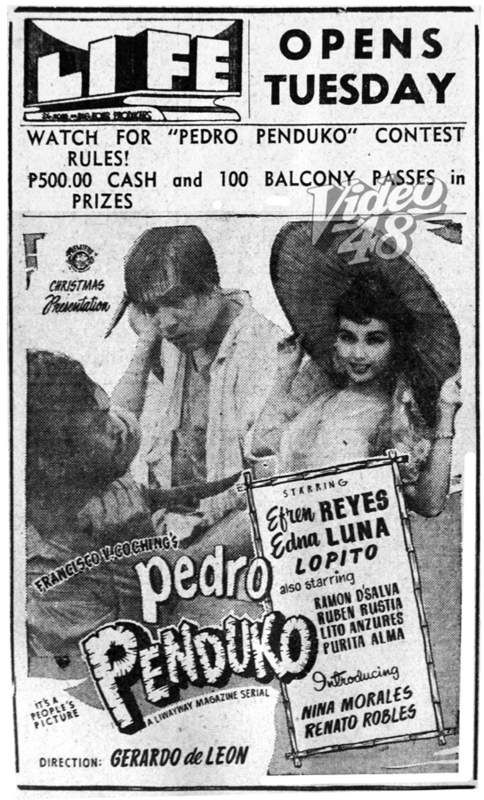 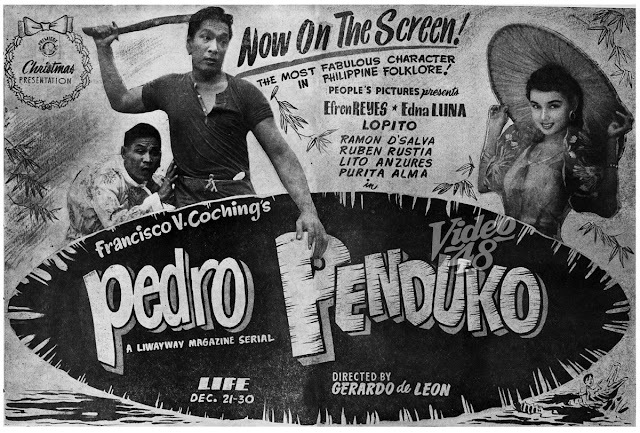 The first film of Fernando Poe, Jr. He did the movie when he was only 15 years old. 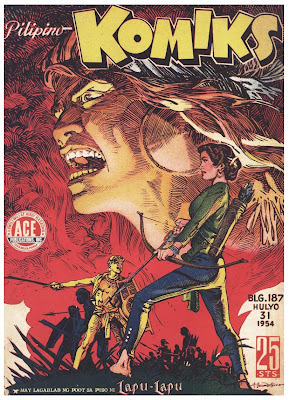 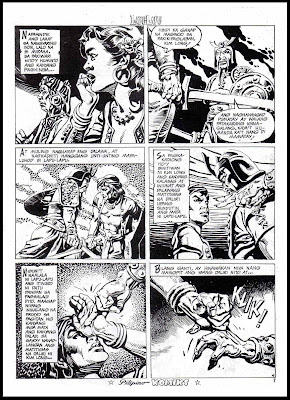 Fernando Poe Productions/ Deegar Cinema, Inc.
One of Poe Senior’s big hits was Palaris, a cloak-and-dagger historical romance. 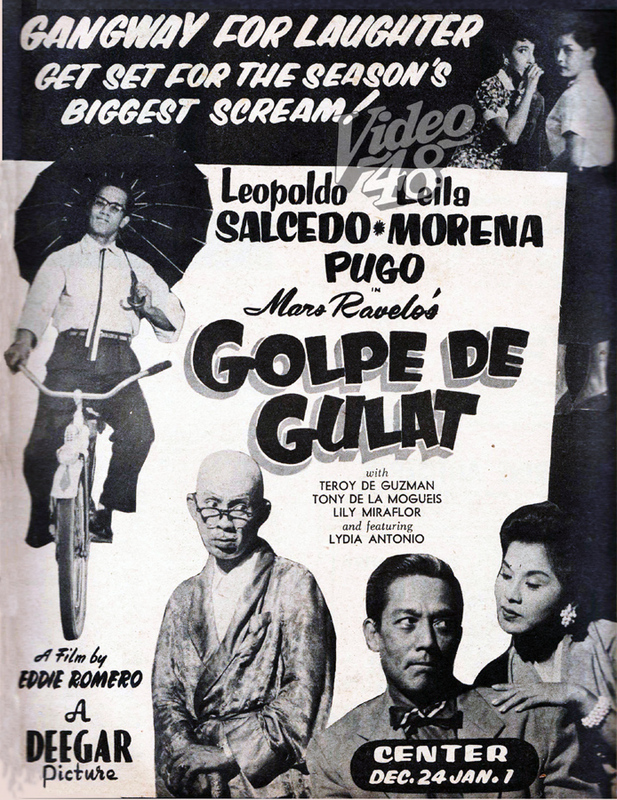 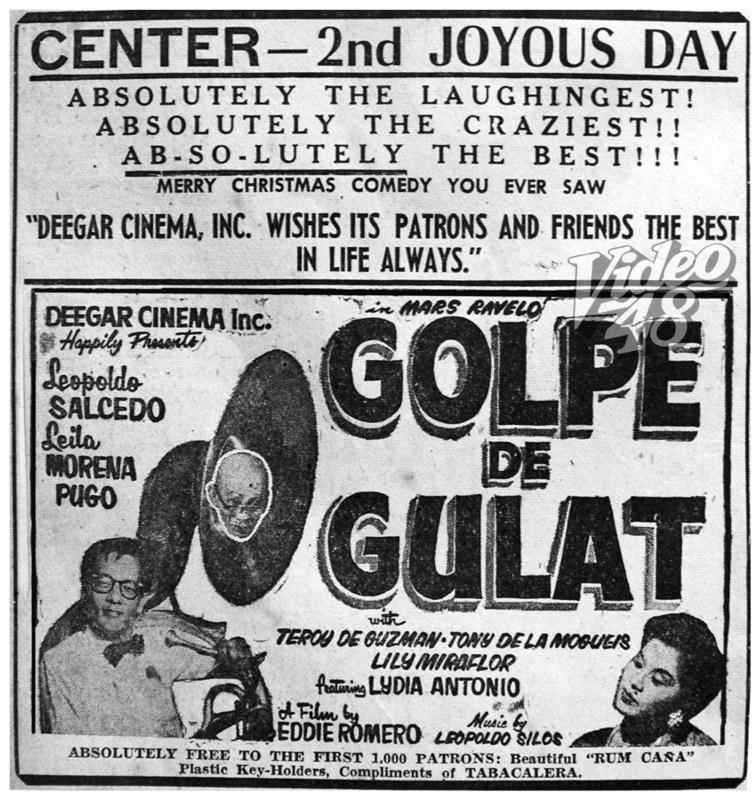 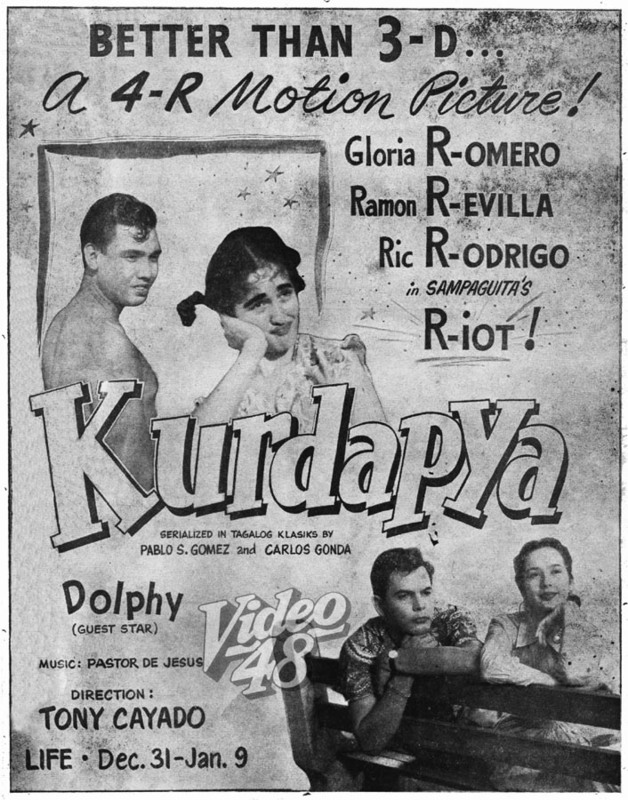 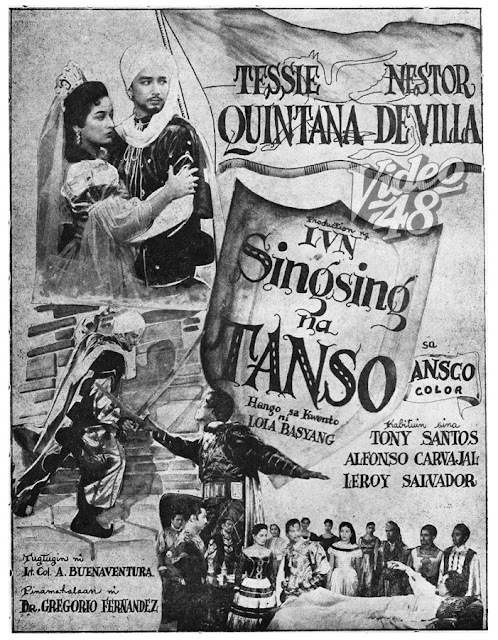 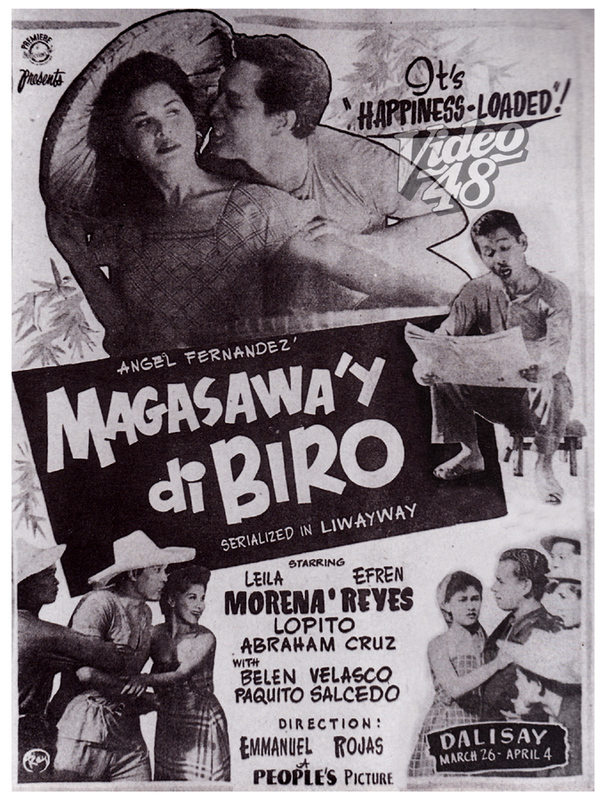 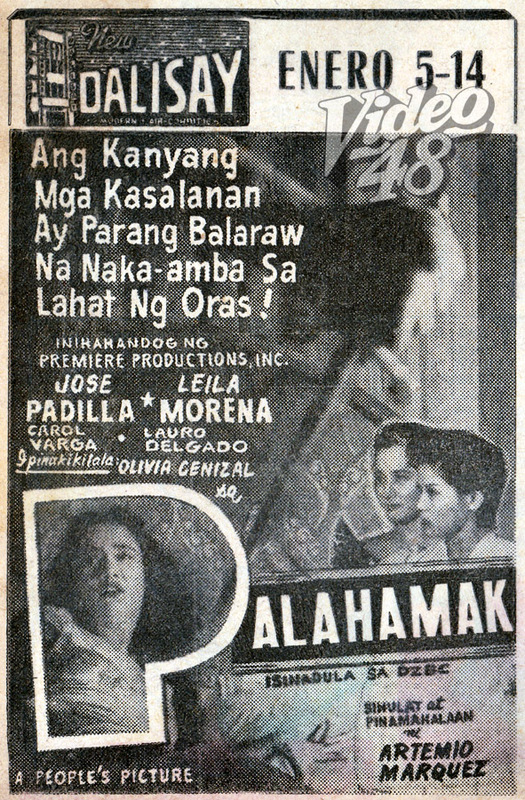 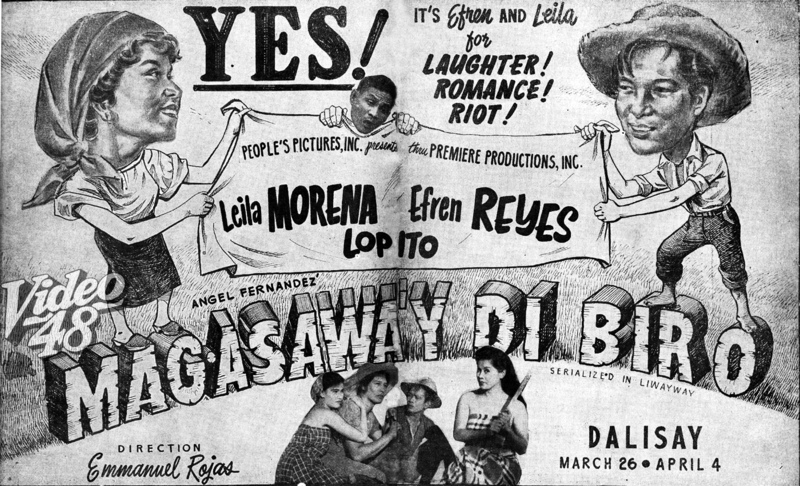 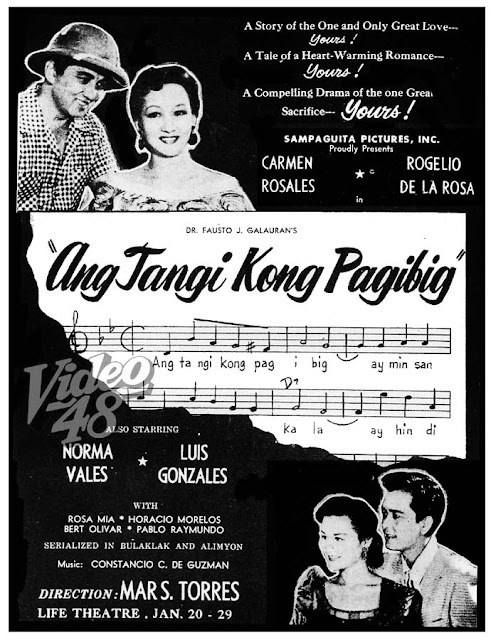 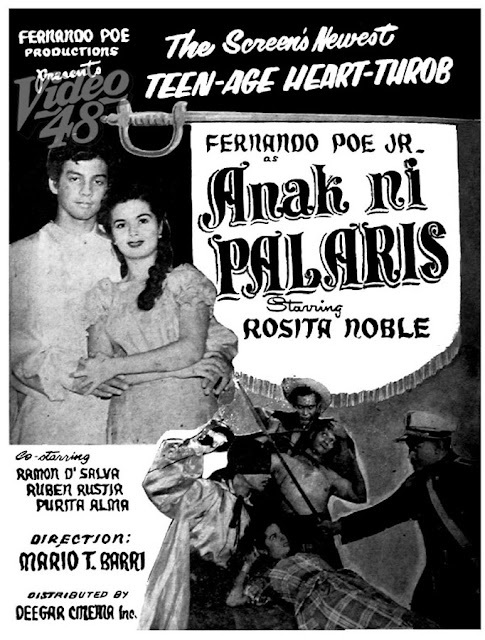 Poe senior had made his fame on such films, an extension into the cinema of the moro-moro tradition. 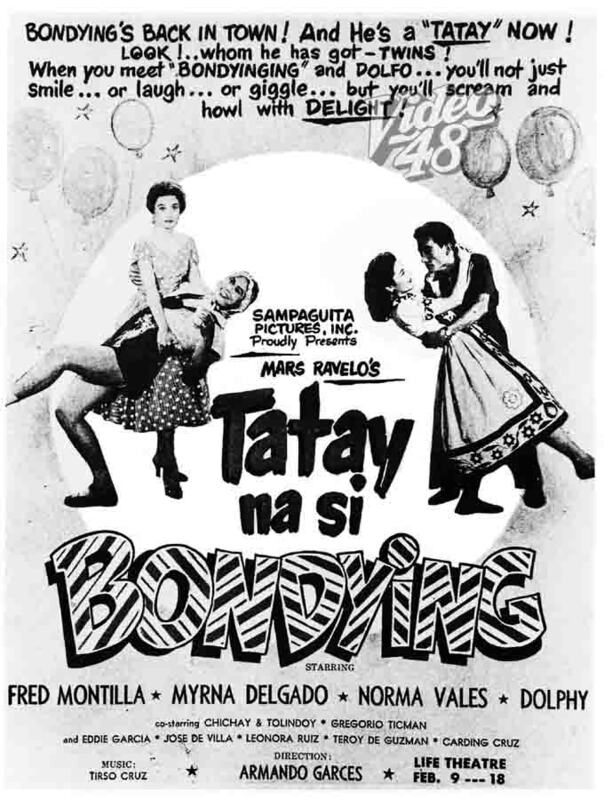 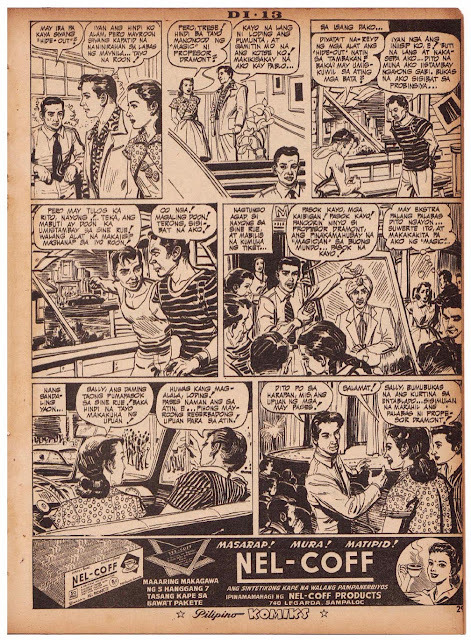 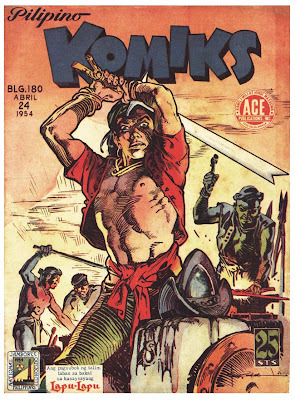 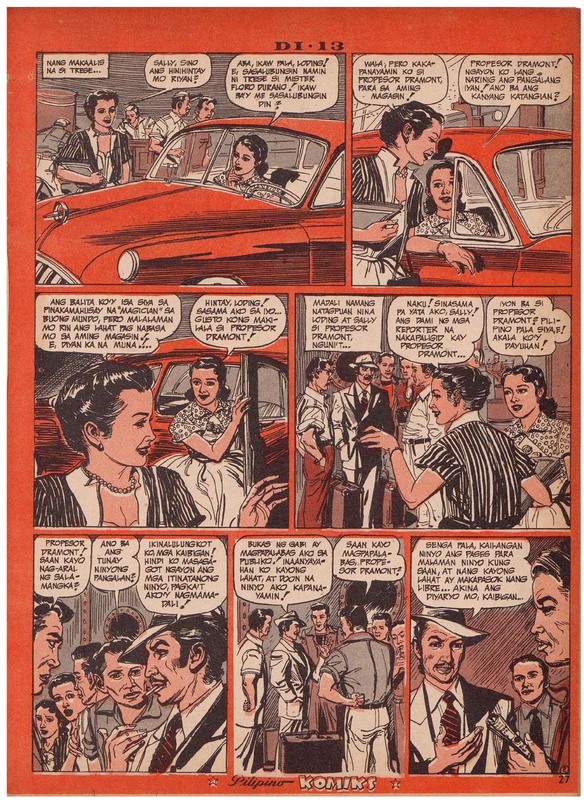 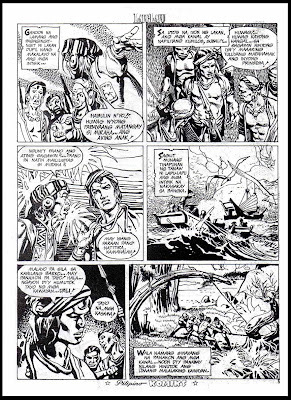 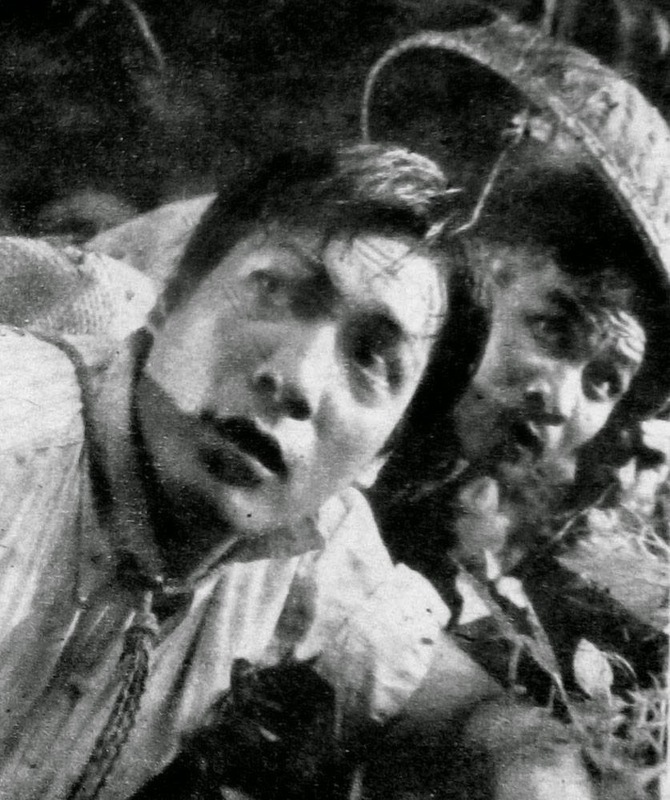 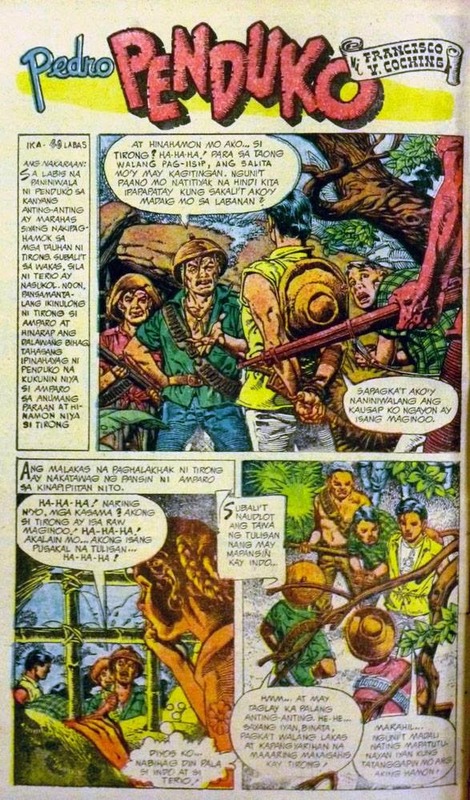 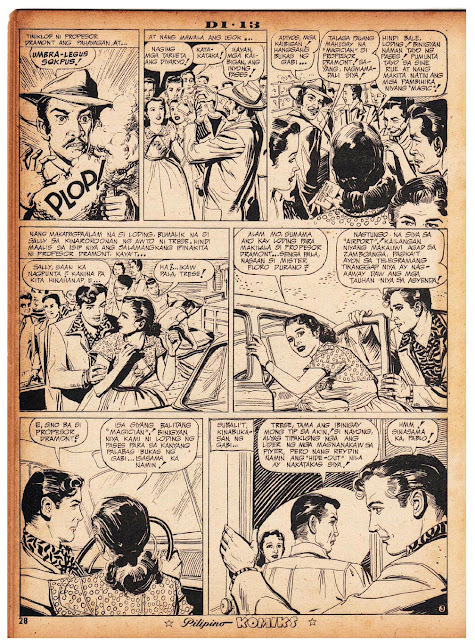 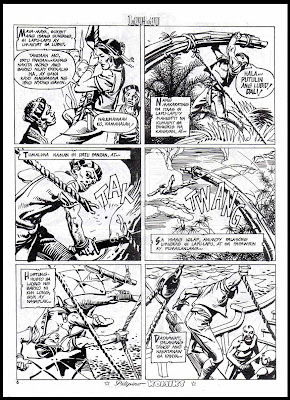 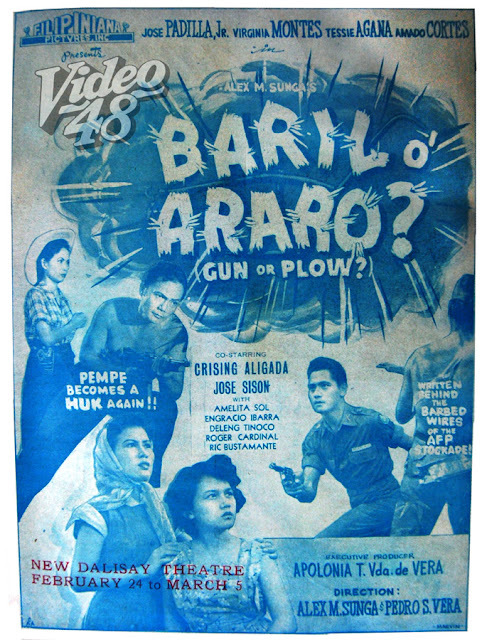 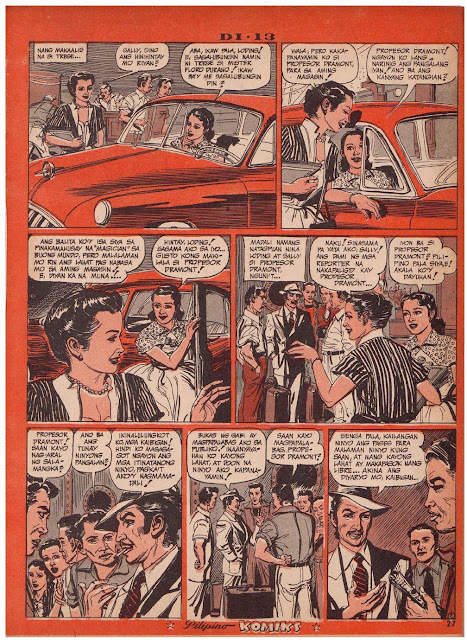 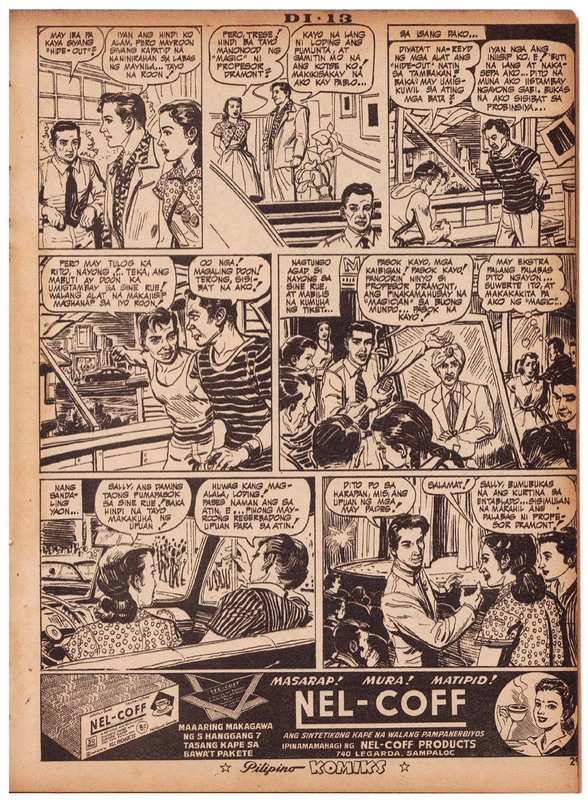 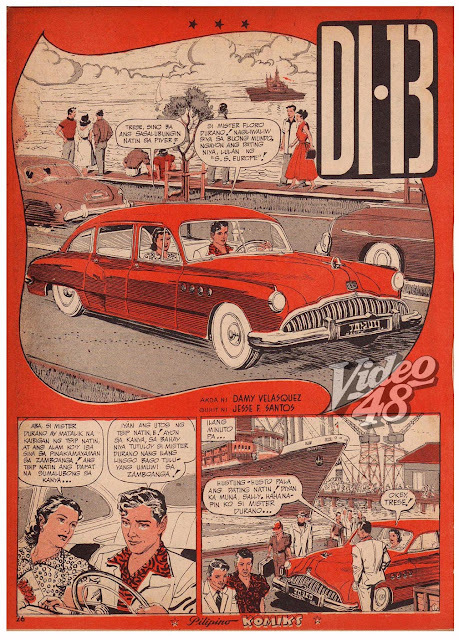 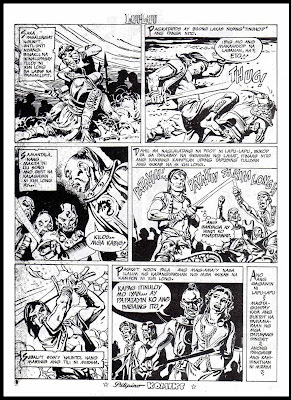 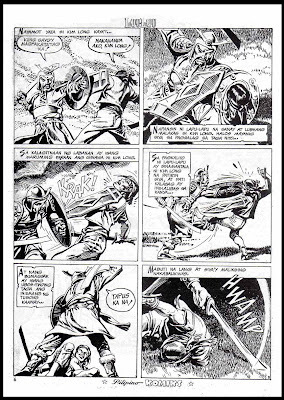 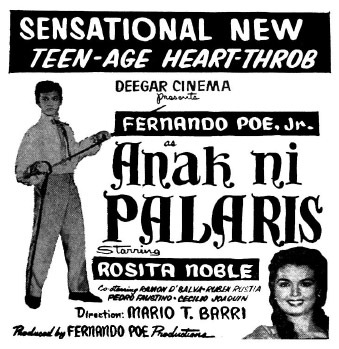 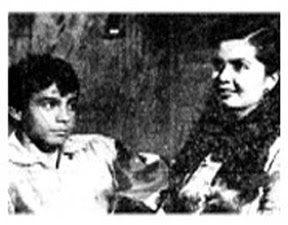 In late 1954, Mario Barri, who had worked for the elder Poe, thought of doing Anak ni Palaris and he cast Ronnie in it, making the boy assume his father’s name to emphasize the picture’s relation with the old Palaris. 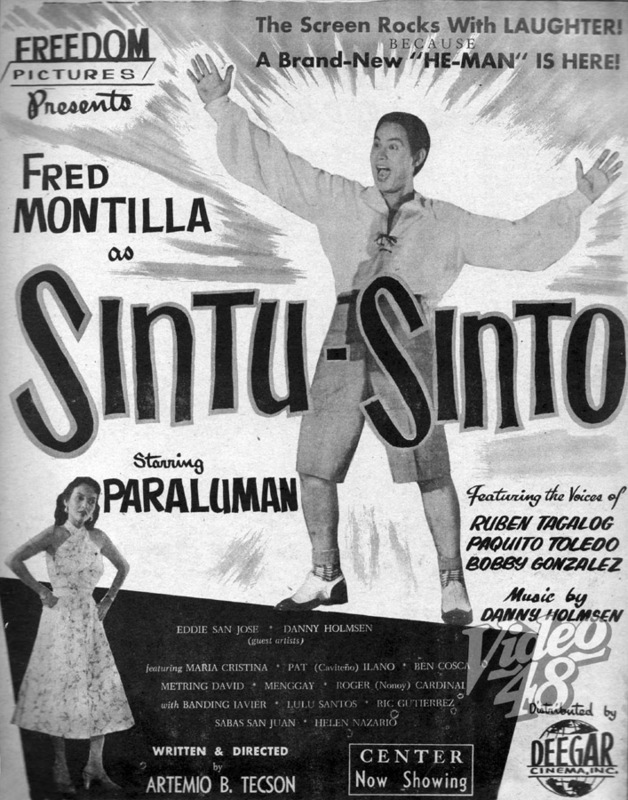 For his first movie role, Ronnie got a thousand bucks and co-starring billing with Rosita Noble and Mario Escudero---but this picture proved disappointing. 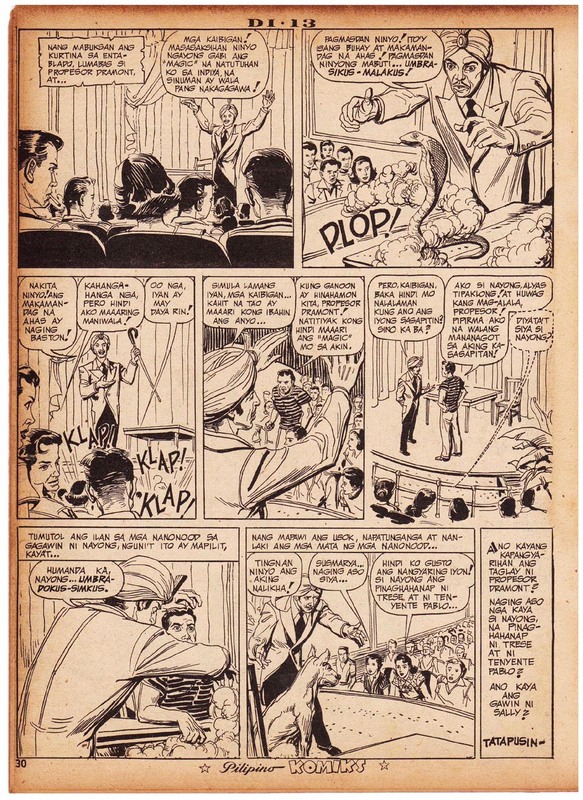 “One thing I know, it didn’t make money,” Ronnie recalled.